The smell of redwood permeates the crisp cool and foggy morning air of Santa Cruz, where spring weather is almost year round, and summer falls during the months most areas in the U.S. experience autumn. The temperature fluctuation of cool mornings and warmer days is a recipe for good grape growing, so it’s no surprise the area is filled with vineyards. In fact, outside of Napa Valley, Santa Cruz considers itself to be its own wine country. Just ask Attorney Paul Kemp, who built his winery a year ago along the Sea Wine Trail. 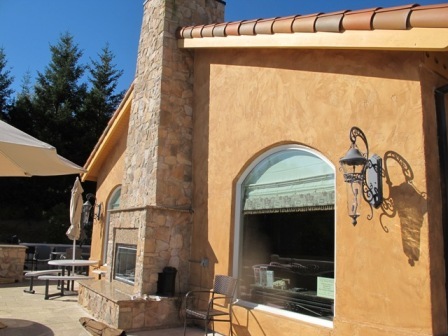 Loma Prieta Winery is sited uphill on a steep slope on the Mount Loma Prieta. It is here where the largest vineyard of pinotage grapes grow, thanks to Kemp, a trial lawyer who took his big earnings from a winning case and decided to build a chateau next to his home, naming it Loma Prieta Winery. Loma Prieta is open to visitors on weekends to enjoy a picnic on the premises, if not enjoy a game of bocce ball on the newly built court, or play checkers or chess with life-size figures. Because there are no large producers of the pinotage grape, Loma Prieta Winery has little competition. So, a bottle of this South African grape wine sells for $45 a bottle. You may be asking yourself, “Why pinotage?” Well, Kemp had pinot noir, cabernet sauvignon and merlot grapes in his vineyard, but he wanted to make an obscure wine. In 2008, he received two barrels of pinotage from a winery in Lodi, California, and this is when he fell in love with the grape. 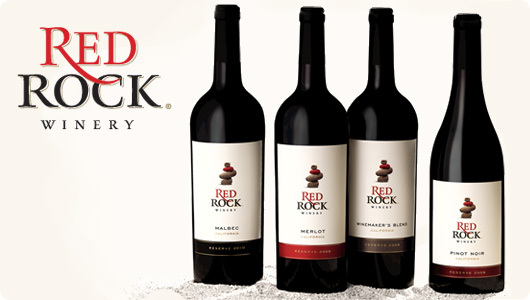 By 2010, he had grafted pinotage vines onto 500 of his existing cabernet sauvignon and merlot plants in his vineyard of approximately three acres. His next step would be to graft pinotage onto his existing pinot noir vines, making his vineyard the only one in the Santa Cruz Mountains an appellation to grow only pinotage grapes. Kemp sources his pinotage grapes from his estate vineyard, as well as in Lodi at Amorosa Vineyard and Karma Vineyard, and Sierra Ridge Vineyard in Sutterville, California. His 2008 pinotage won several gold medals, including a double gold, and his 2009 won gold and platinum metals as well as a Best of Class at the 2011 Indy International Wine Competition. His 2010 Amorosa Pinotage won a platinum medal and 10 gold medals. His 2010 Karma Vineyard Pinotage has won two gold medals to date. Pinotage is a grape that was developed in South Africa around 1925. 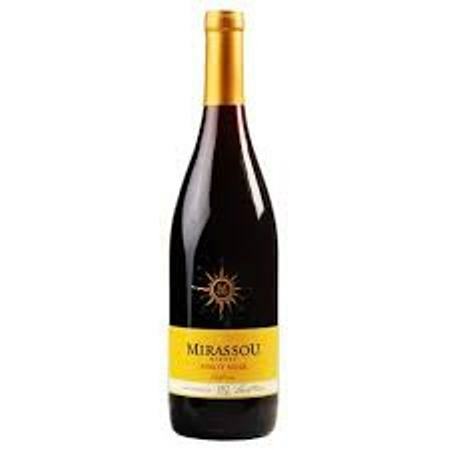 A pinot noir was cross-pollinated with cinsaut (also known as hermitage), and obviously got its current name from its parents. Pinotage was not commercially produced until 1961. Due to the terrible problems with Apartheid, there was an international boycott against most South African wines until the 1990s. Kemp’s fascination of pinotage grapes brought him to South Africa during the summer of 2011. “I was treated like royalty by the South African Pinotage Society, primarily by Beyers Truter, the chairman of that organization,” says Kemp. In 2012, Loma Prieta Winery received 25 tons of pinotage grapes from the three vineyards aside from his own estate, making him the largest purchaser of pinotage grapes in North America. That same year, 25 cases of 2011 Estate Pinotage, with its smooth, puckery tannins, was bottled — and sold out immediately. Loma Prieta Winery stakes the claim to offering the one Pinotage Only Wine Club, and membership, says Kemp, is growing quite rapidly; therefore, selling out rapidly. Due to the increased sales, members of the Pinotage Only Wine Club are limited to two shipments a year. On weekends, Kemp’s winery tasting room offers pinotage at the end of the tastings, while at the same time explains the history of the wine. With a sample of triple cream blue cheese from France, the 2012 Estate Pinotage is tasted straight from the barrel and proves to be earthy and full-bodied, with flavors of dark chocolate and aroma of tobacco. It would pair well with lamb or wild pork/game. Due to its obscurity and the curiosity factor, it’s no surprise that Loma Prieta Winery’s pinotage wine, aged in Missouri oak barrels, has been their best seller, despite the fact that it also produces several other gold medal wines (merlot, petite sirah, cabernet sauvignon, and pinot noir). In fact, their 2010 Petite Sirah won Best of Show at the 2013 Florida State Fair International Wine and Grape Juice Competition. You can find Loma Prieta pinotage in Katsu, a Japanese restaurant in Los Gatos, Calif., and Bella Mia in San Jose. 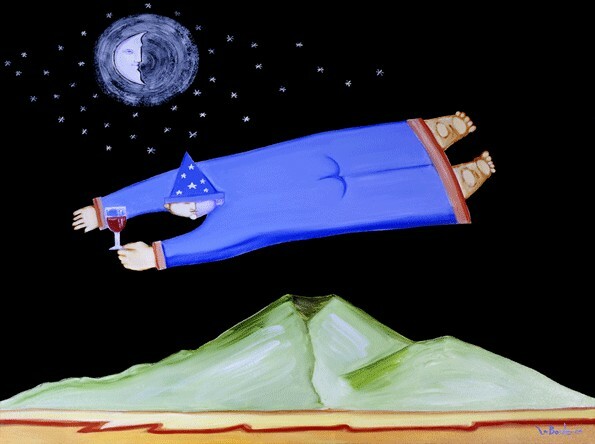 You’ll know the bottle by its label, created especially for Loma Prieta Winery by New Orleans artist Martin LaBorde, who incorporates his signature magician, Bodo, in much of his work. It’s a view of Mount Loma Prieta from the winery with a jagged red and orange line underneath, representative of the 1989 Loma Prieta earthquake. Visit www.lomaprietawinery.com for more information.